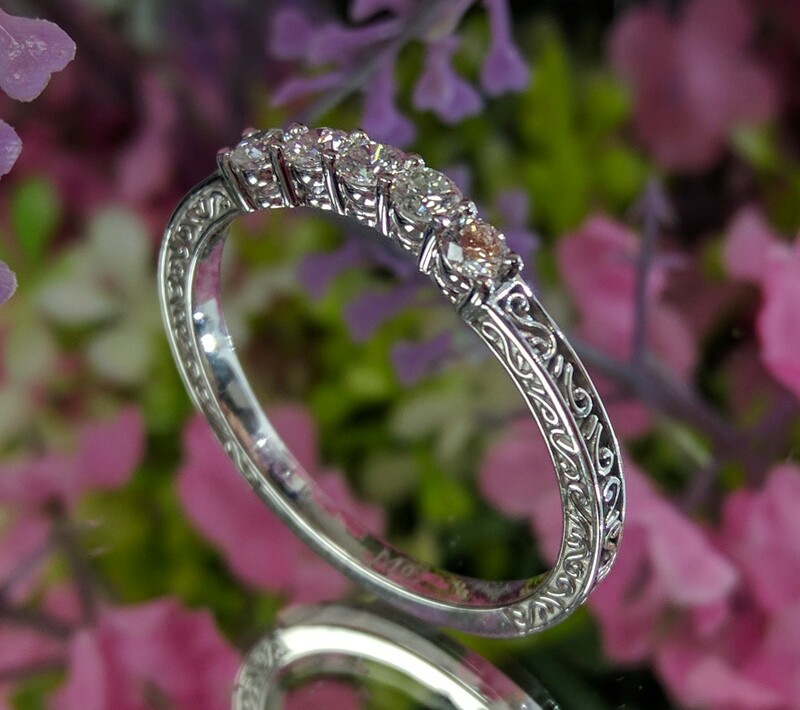 A matching wedding band for our gorgeous ES1873 diamond ring series. This version contains nine prong set round cut diamonds on the top of the shoulder with a slight curve followed by the same engraving as the engagement ring. Call us to make sure this will fit your ring.